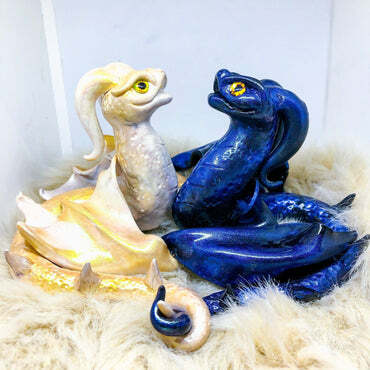 These gorgeous sleepy Dragons are RESIN figures, handcast from an original mould I made from the original clay sculpture. 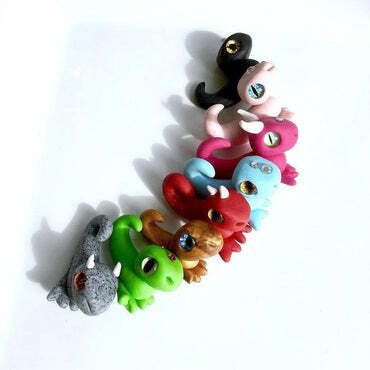 They’re each individually hand painted! Glazed with a polyurethane resin coating to seal and ensure protection. 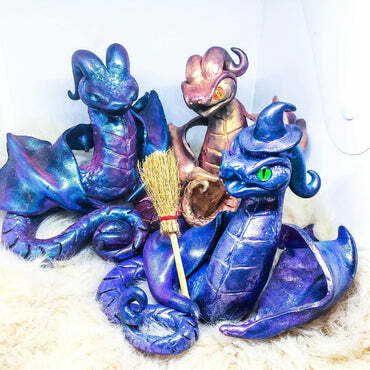 By using moulds to cast these Dragons, I am able to produce them at a much faster rate since they do not require many hours to sculpt, unlike my other Dragon sculptures which are handsculpted from clay. 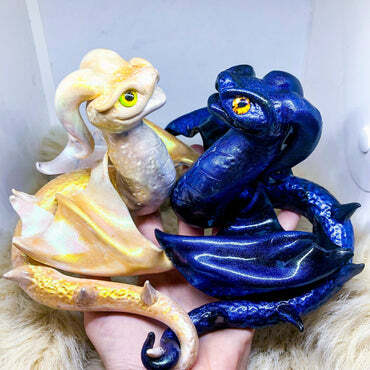 Each sleepy Dragon is completely unique and makes for a lovely gift, sculpture for your home or a buddy to sleep peacefully on your desk - it’s up to you! 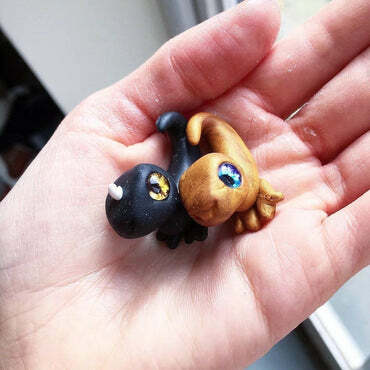 These sleepy Dragons are roughly the size of a regular hand. 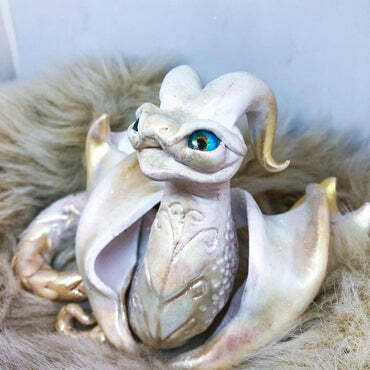 The dragon is very very cute and came in one piece. It is a bit rough on some edges, but the quality is good. Would definitely buy another one!